It was also the first chance I had been able to be by myself all day. The next few weeks will be tiring, having to be switched on, alert and in mum mode at all times- not my natural settings :). The excitement levels are rising, but I have been rushing around getting stuff done, like cleaning the house, hosting inlaws for a little birthday celebration for nearly-3 Miss BG, paying bills and filling prescriptions that I haven’t had time to started bubbling with excitement. 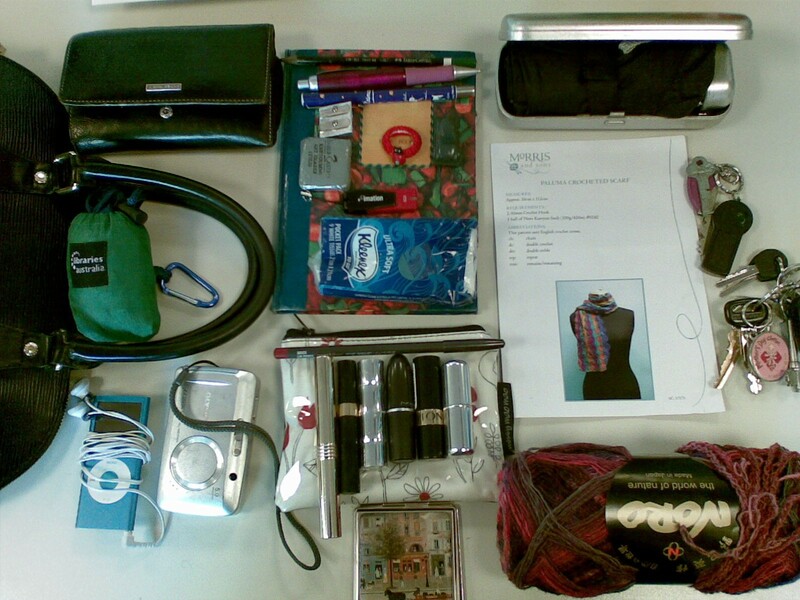 My work bag is a very nice handbag, and was a gift from my godmother. Rather than save it for a special occasion (ie never), I use it for the two days I work in paid employment. That makes going to work all that more pleasurable, and makes me feel like I’m all grown up with a serious bag. My other/weekend bag is more casual, one that I can sling bandolier style around my shoulder to have hands free for kid wrangling. I am not by nature an organised person, but I have found that being organised can make my life and my family’s life easier. That means on the days before I go to work making sure the kid’s clothes are laid out the night before I go to work so Mr BG can dress the kids easily, trying to have a meal prepared to be heated up, as well as deciding what to wear myself the night before and having it in the bathroom. That is probably the extent of my organisation- you should see the state of my dining table (actually better not…). 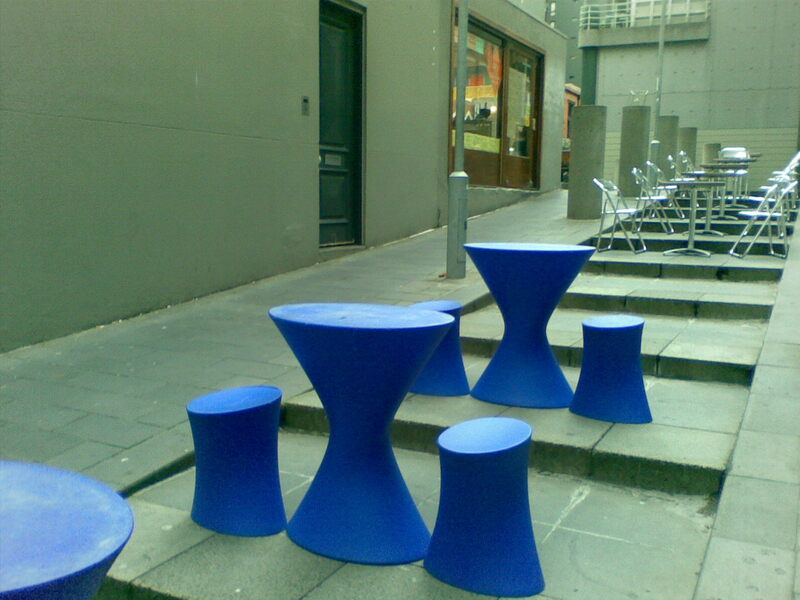 My walk to work today took me up a little laneway with these funky tables and chairs. With the more conventional steel framed seating in the background, the title seemed apt :). They added a bit of colour to an otherwise wintry grey Melbourne morning. The Fairies came to Ballarat, and the little BGs and I went. To be honest I prefer The Wiggles as there’s a lot less pink, but the songs were catchy (I realised I knew quite a few through osmosis), the little girls in the audience enjoyed themselves and Miss BG was beside herself withe enjoyment. It was so hard to capture the joy and pure abandonment on her face, mainly because it was so fun just watching her dance along with Harmony and Rhapsody. 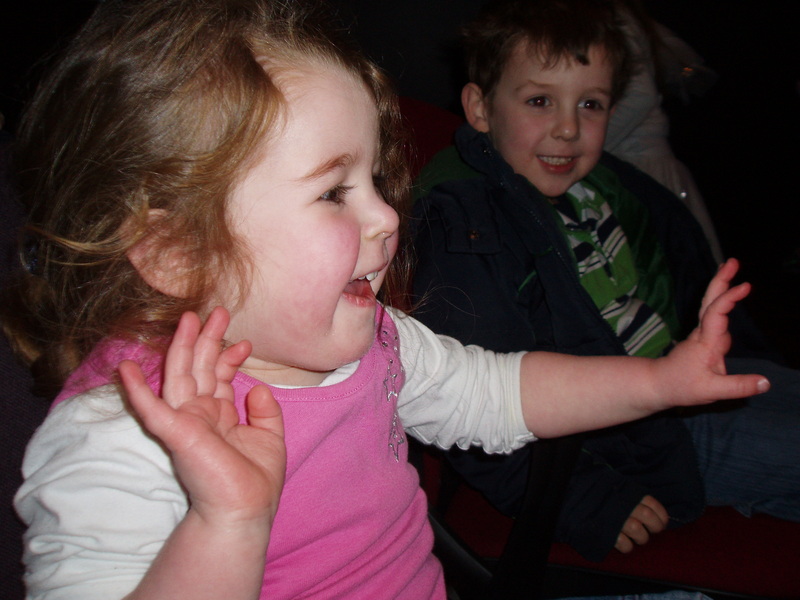 I would say the most enjoyable part of the concert was her reaction to the whole event. Master BG was somewhat more relaxed about the whole thing (or bored), but the reason could be was that there were a couple of girls a few seats away that he knew and he didn’t want to embarass himself. I love parcels arriving in the mail. 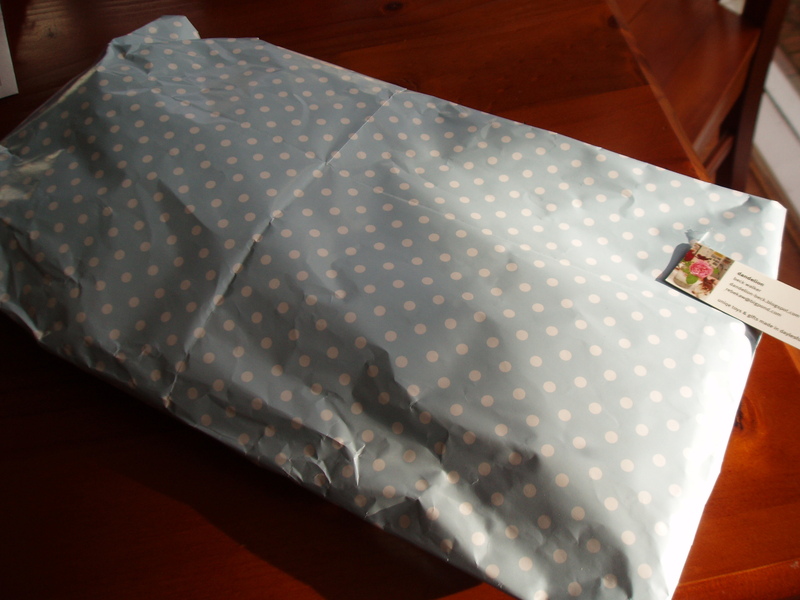 This one arrived today from Beck and is a present for Miss BG’s 3rd birthday. I’ll be keeping it in the parcel and pack it in our luggage, as we will be celebrating her birthday in London with her two uncles and nana and papa. 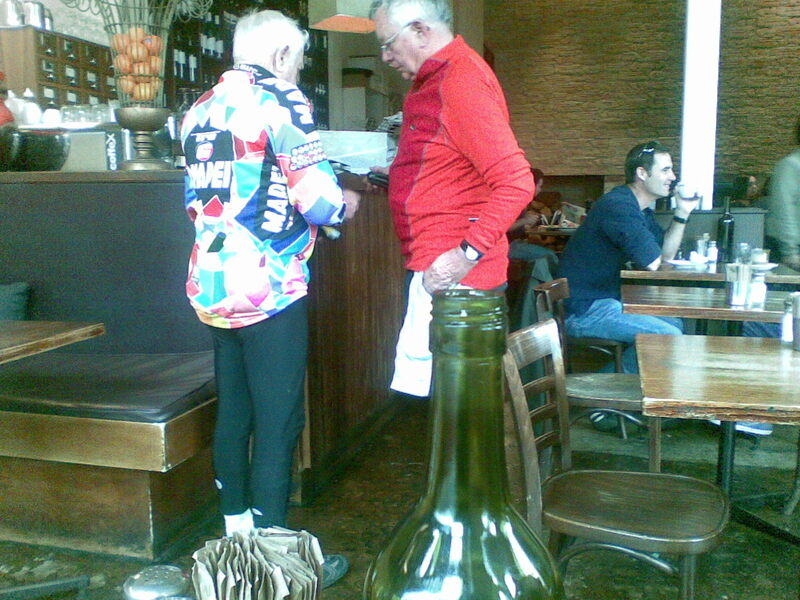 Two cyclists working out who was paying for coffee at the Fitz cafe in Brunswick Street this morning. As they were leaving the waitress called out “Be careful!”. 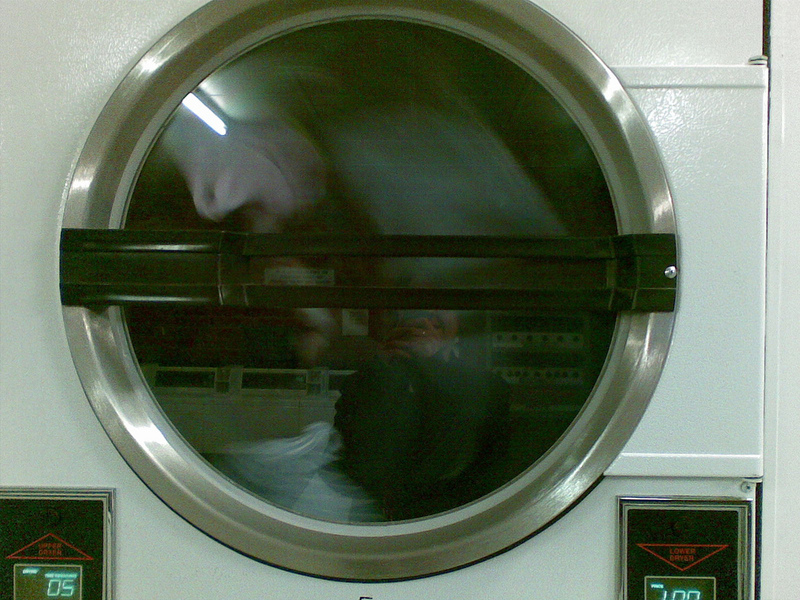 One replied”We’re always careful. Or lucky. Or a bit of both!” as he headed out the door. My phone camera did not justice to the colours of the jerseys, but it was great to see two gentlemen keeping active on their bikes. I made a scarf for Master BG with some acrylic yarn in green, his favourite colour. 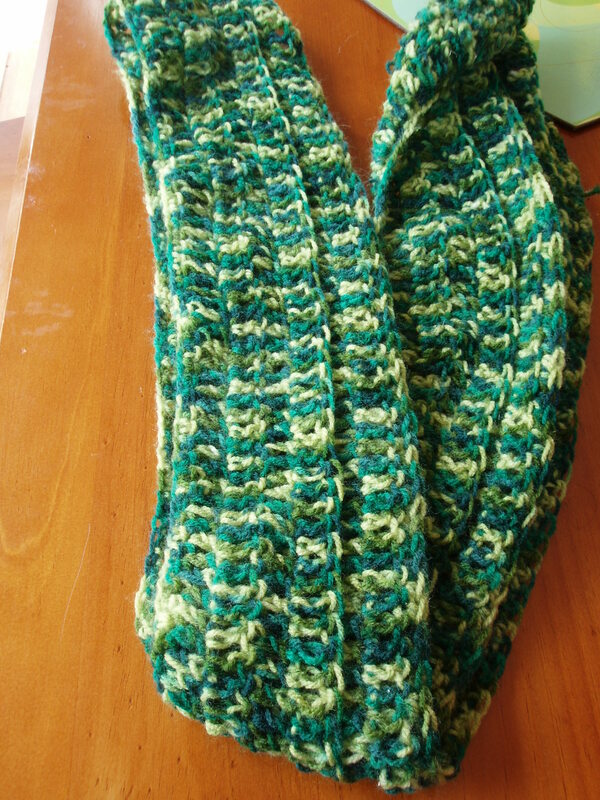 I need to work on the tension, as the scarf tends to twist about, but I’m happy I finished it! Master BG loves the colour, but it is usually around his neck for about three seconds when outside as it’s too constricting around his neck, too scratchy (I know the feeling as a kid about that), or it simply gets in the way.